Is 'golden age for inventors' at hand? Todd Greene was shaving his head one day when he hit upon the idea of the HeadBlade. Now he's rich. (CNN) -- Some people follow rock stars. Steve Greenberg follows inventors. Greenberg calls himself an "invention groupie." The author of "Gadget Nation," he's written about quirky inventors who have dreamed up everything from a talking toilet paper dispenser to a "Vidstone" grave marker that displays a video tribute of the dearly departed. Now is a great time for an inventor to become a rock star, Greenberg says. The economy may be slumping, but he and others say inventors are poised to enter a golden age. "Businesses want to pull themselves out of this economic slump, and they're looking for smart ideas," Greenberg says. "You got the next big idea, and these folks want it. Inventors are in demand." 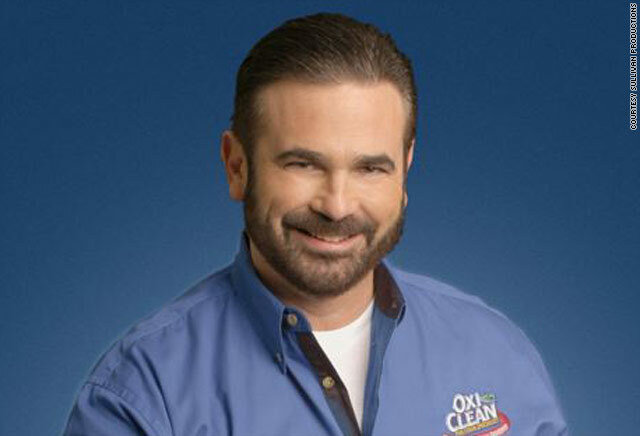 Laugh all you want at the plastic-smiling people in the Snuggie commercials on late-night TV and the loud barking of the late Billy Mays, the television pitchman. The world of inventors -- a notoriously difficult profession where inventors often lose jobs, home and family pursuing their creations -- is booming, some say. The Great Recession has created more opportunities for inventors, several industry insiders say. Alan Tratner, who has run an inventors workshop since 1971, says he's seen a surge in calls from companies seeking the latest hot idea. He says companies are looking because they're trying to lure back customers who are deserting them, and they're trying to compensate for the staff they've laid off. "This is new golden age for inventors," Tratner says. "Companies are looking for ideas more than ever." The demand for green products is also increasing the demand for inventors, Tratner says. Green products, ranging from cosmetic and cleaning products to solar energy products, are in demand. "There's this whole new rich area that's developed since the late 1990s," says Tratner, who is based in Santa Barbara, California. "This is a new age of opportunity." Andrea Belz, a management consultant who specializes in technology commercialization for companies, says this is a "fabulous" time for inventors because labor and real estate is cheap. "A lot of money is looking for good places to go," she says. "There's a desire to invent. If you have a good idea, there's actually less competition for money." What separates a successful inventor from a failed one? Opportunity may knock, but it's easy for any would-be inventor to make common mistakes, some say. Todd Greene is the inventor of the HeadBlade, a ergonomically designed blade that makes it easy for someone to shave his head. 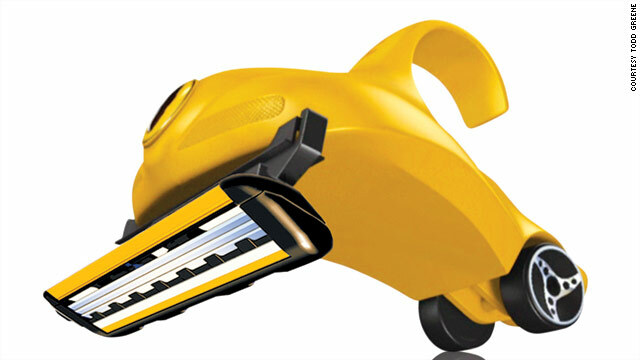 The HeadBlade was selected as one of the 10 best designs of 2000 by Time magazine. Greene, who is based in Los Angeles, California, says he's made "millions" off his product. The hard part isn't coming up with an idea. The hard part is taking it to the market. Greene says he did "many things well but nothing great." That turned out to be a good formula for his success. He helped design 15 prototypes before selecting his final design. He raised money, built a Web site, answered the phone and walked orders to the post office. His varied background as a fundraiser and online manager for ESPN helped. But one of the most important steps Greene says he took was, simply, to act. "I know some people who are perfectionists," Green says. "They never get their company off of the ground because they're not happy with what they have and they're afraid to go to the next phase." Greene was also good with money. His father owned a hardware store. He says he learned from his father how to invest the money he made back into his business -- and not into his ego. Green says that in the beginning, when he struggled, he would see other inventors in fancy cars and wonder how they managed to afford such a lifestyle. "Two years later they would be out of business," he says. "That's how they did it -- they put their money in the car." Greene says fear, not just faith in a product, can also be useful for an inventor. "I thought I'm either going to have to do this or I'm going to have to be prepared, five or 10 years from now, to go into a store and see somebody else making money with the same idea," he says. A good idea, though, is only the start for inventors, others say. Belz, the management consultant who specializes in technology commercialization for companies, says novice inventors sometimes get too wrapped up in their ingenuity. They forget to ask a simple question: Why would anyone buy this? "I've seen a lot of money go down the drain chasing neat ideas that really have no market," she says. Other novice inventors fall victim to a "lone wolf" mentality. They try to do everything alone and ignore their limitations, she says. "You have to be able to say, 'What are the skills that I lack and what's the experience I don't have, and how can I find somebody that can complement those skills?'" she says. Any successful inventor also has to beware of inventor myths. Ralph Waldo Emerson, the 19th century New England writer, once declared that the world would beat a path to a person's door if they built "a better mouse trap." Not so, says Tratner, who runs an inventor's workshop. "The world is not waiting with bated breath to pay you a lot of money for your great idea," says Tratner, who says he has 12 patents. First, the world has to hear about your "better mouse trap," and that's difficult when the marketplace is crowded, Tratner says. Inventors need to know how to market their ideas or get the attention of a larger company that might be willing to buy them out. "Just because your product is amazing and life-changing doesn't mean that people are going to hear it," Tratner says. "The hard part isn't coming up with an idea. The hard part is taking it to the market." Avoiding the con artists is also important for any would-be inventor. Some inventors say a cottage industry has sprung up to take advantage of inventors' dreams. Television commercials ask inventors to fork over thousands of dollars in exchange for taking their product to companies and trade shows. "They promise you the world but you have to pay this amount of money," Tratner says. "They take the money but they don't help." Another myth is the promise of quick money. Some inventors think they're going to cash in quickly. The quickest he's ever seen someone make money off an invention is eight months, Tratner says. "Most of the time, it takes a year or two," he says. "Less than 10 percent of all inventors actually make money." Greene, the inventor of HeadBlade, is now among that 10 percent. His HeadBlade has been featured in dozens of magazines and has become a multimillion-dollar business. He's now moving his invention into brand category. There are now HeadBlade products. Greene says HeadBlade is now a lifestyle. Greene worked out of his apartment his first two years in business and didn't take a salary. Now he can afford that fancy sports car he saw others drive. But that's not what drove him, he says. He had a vision. "What you have to realize is that it's always going to be harder and longer than you think, but if you're committed and you don't question those things, you can be successful," Greene says. Green's drive isn't just what drives the world of invention -- it drives the dynamism of America, says Greenberg, author of "Gadget Nation." Inventors are "the grass roots of this country's ingenuity and entrepreneurial spirit," says Greenberg, who demonstrates inventions on TV shows and writes an "Innovation Insider" column for magazines and newspapers. "They're what make America great," Greenberg says. "It's the ultimate American dream to dream of a product and bring it to the market." It's pancakes. In a can. It's made $15 million.